Elekta and DCA Design International Ltd have won the prestigious Human Factors and Ergonomics Society (HFES) Stanley H. Caplan User-Centered Product Design Award 2018 for Elekta Unity, Elekta’s MR-linac. Elekta Unity combines high-field 1.5 Tesla MR imaging, precision radiation therapy and intelligent software, giving clinicians the previously unattainable ability to see what they treat in real time. This U.S.-based award recognizes outstanding and innovative practice in product design, alongside the user research and design methods used to both develop and evaluate the design from the early product vision to the commercially available system, which received CE-mark in June 2018. Dr. Gilmore and Daniel Jenkins, DCA’s Human Factors and Usability Senior Skill Leader, received the award on behalf of Elekta and DCA on October 2 at the HFES Annual Meeting in Philadelphia where they also delivered a joint presentation on the product and design methodologies employed. 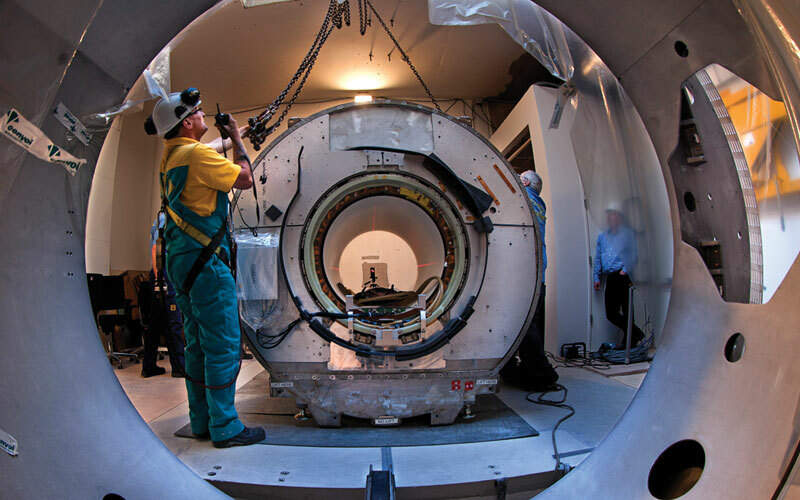 Elekta wins user-centered product design award for its MR-linac, Elekta Unity. Appl Rad Oncol.